The Palomar Inn Hotel is a 10 room historical landmark hotel built in Old Town Temecula in the 1920's. Two rooms have private baths and full kitchens. In the Hotel is the Temecula House of Wine exclusively offering local wines. The unique setting combines the ambiance of "Old Town Temecula" and that of a small family run inn. Temecula Valley's natural beauty, mild climate, rich history, and convenient location make it a destination worth exploring. The Palomar is located in the heart of what is considered the cultural and historic center of Temecula. Also in Old Town Temecula is the Garage Brewing Co. 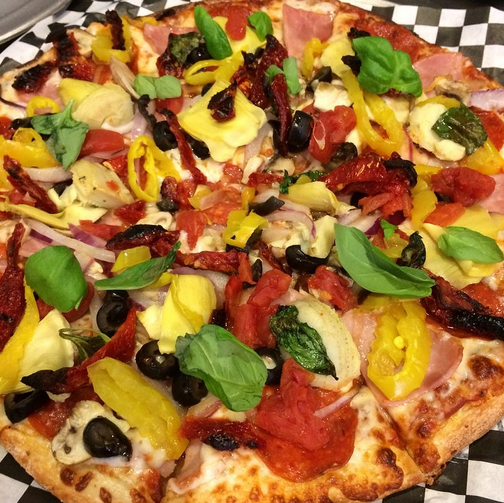 It is a state-of-the art 10 BBL brewery and fast casual restaurant serving fast fired pizza in an old automotive center at the edge of town. They offer up to 10 different types of fresh beer with seasonal or specials rotated in. There are also 20 other rotating tap handles so there's always a nice selection of other craft brews along with a few domestics to choose from. For a great route into town start in Palm Desert, right off the Route 111 and Highway 74. Keep traveling until it turns into the 371. This route gives you great scenery and a change of pace from riding the highway while still giving access to the wooded areas of Southern California. While riding through Palm Desert, it is primarily desert. At the bottom of the 74 there are switchbacks that are great for sportbikes and cruisers alike. Further in, you will come upon lush trees and foliage surrounding the road. The 371 takes you through the hills and down into the flat lands of Anza as well as bringing you to the hills just outside of Temecula. It is a great route for those who are bored of seeing the desert and like a calm ride. For more information, visit The Palomar Inn Hotel and Garage Brewing Co. online.